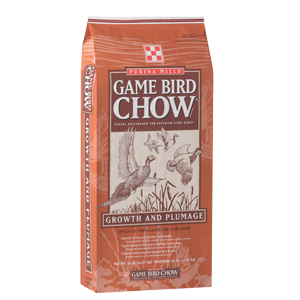 o Convenient... ...One product will supply your birds with all the nutrients they need. o Formulated for breeder birds... ...Specifically designed to meet the special dietary requirements of breeder hens. o Gives you flexibility... ...Breeder Layena® Product is suitable for all species of game birds. o Better performance... ...High protein plus extra vitamins and mineral means that your birds will produce healthier, stronger chicks. o Reduced risk... ...Proper protein and salt levels provide maximum protection against cannibalism caused by imbalances of these nutrients. o Provides uniform nutrition... ...You know your birds are getting a complete, balanced ration with every bite.